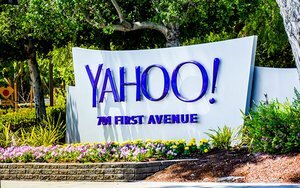 Yahoo expected to close the sale of its core assets to Verizon by the end of the first quarter of 2017, but the company reported Monday with its earnings report that it now expects to close the transaction in the second quarter of 2017. Yahoo's 8-K filing with the United States Securities and Exchange Commission cited the "work required to meet closing conditions" as the contributing factor. "The company is working expeditiously to close the transaction as soon as practicable in Q2," the filing notes. The statement appeared along with Yahoo's fourth quarter and yearly earnings report for 2016. Yahoo reported gross search revenue declined 6% to $821 million for the fourth quarter of 2016, compared with the year-ago quarter and $3.2 billion for the year, down 13% compared with the prior year. As the company prepares to roll into Verizon's AOL advertising businesses, the number of paid-search clicks fell 21% compared with the fourth quarter of 2015, and the price per click rose 18%, respectively. GAAP search revenue was $767 million for the fourth quarter of 2016 compared with $528 million for the fourth quarter of 2015, and $2,673 million and $2,114 million for the full year of 2015. Excluding the impact of the Change in Revenue Presentation -- which contributed $302 million to search revenue in the fourth quarter of 2016 -- search revenue fell 12%, compared with the fourth quarter of 2015, Yahoo reported. The Change in Revenue Presentation contributed $140 million and $386 million to mobile revenue, $162 million and $426 million to desktop revenue, and $302 million and $812 million to traffic-driven revenue in the fourth quarter and full year of 2016, respectively. Gross mobile revenue for the fourth quarter of 2016 fell slightly to $495 million, down from $449 million in 2015. For the full year the numbers were $1.8 billion and $1.7 billion. Yahoo reports that the Change in Revenue Presentation does not impact gross mobile revenue.